Tampa is a fortune 500 city that hosts many conventions and conferences. Using a corporate transportation service for your guests or at least your VIPs shows that they are honored and appreciated by the company. It also shows a professionalism and respect that you want them to enjoy their travel and be as stress free as possible during their time in Tampa. Typically, limo services for conventions is reserved for the VIPs so it is really morale boosting to ensure that everyone feels like a VIP and Luxury Transportation Group can make that happen for you in Tampa. Using a professional corporate transportation service for any formal or out of town corporate events in Tampa, shows that it is very important to you, and all the attendees are very important to you. It just says something about your company when you provide professional event transportation, especially for attendees coming from out of town and staying in hotels, it offers convenience and peace of mind. Corporate events in Tampa can be very busy and chaotic even, not having to be concerned transportation reduces stress and worry, making everyone work better. It also could allow for you to have better group rates on venues and rooms for those guests from out of town, if you have professional corporate transportation from one location to where the event is hosted it may reduce expenses. When you need a corporate limo in Tampa, Luxury Transportation Group will exceed your expectations of service and professionalism. We strive to be the most sought after corporate limo service in Tampa. When you have a group of corporate personnel coming into town or even just meeting across town, using a corporate limo service allows for an easy and stress free commute. Everyone will be more relaxed and ready to work harder, they may even begin in the limo during the ride! Call Luxury Transportation Group at 407-476-0429 to learn more about Corporate Transportation in Tampa. Our professionalism and extreme quality of service will impress not only you but all of your VIPs and staff. 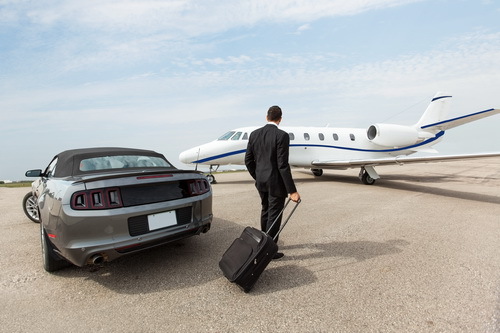 Luxury Transportation Group also offers luxury transportation services, corporate transportation services, airport transportation services, wedding transportation services, limo transportation services, theme parks transportation services, shuttle transportation in and around the Tampa area.